According to the National Insurance, Crime Bureau reports Michigan has more insurance fraud claims than all but two states California and Texas. Michigan is the only no-fault state that does not have a fraud authority. Michigan has fraud laws but currently operates without the ability to pursue people who commit fraud. A statewide anti-fraud authority paid for by the insurance industry could help reduce the amount of insurance fraud claims. Michigan already has an insurer-funded Auto Theft Prevention Authority. This organization helped to reduce the number of fraudulent theft claims since it was established in 1996. 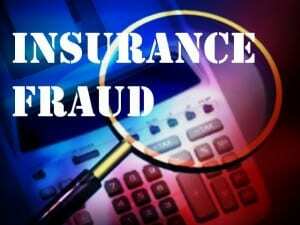 What is Michigan Insurance fraud? Insurance fraud is a crime where a person receives insurance money for filing a false claim, inflating a legitimate claim or billing for services that did not occur. There are many ways to commit Insurance fraud. It ranges from people who “pad” their claims to elaborate schemes perpetrated by members of an organized ring. Inflating a claim to get out of paying a deductible or to cover past insurance premiums. The destruction of an owned automobile, home or business to collect insurance. Exaggerating the extent of an injury to collect workers’ compensation benefits or automobile medical benefits. Billing insurance companies for medical services that were not provided. The Help Eliminate Auto Theft (HEAT) program rewards callers up to $1,000 for tips that lead to the arrest and binding over for trial of a suspected car thief. $10,000 will be awarded if the tip results in the arrest and binding over for trial of suspected theft ring members and chop shop operators. The reporting number is 1-800-242-HEAT. Through ARSON CONTROL, rewards of up to $5,000 are paid to persons who provide information that leads to the arrest and conviction of arsons. The telephone number for reporting these crimes is 1-800-44-ARSON. Contact NICB If you suspect someone is committing insurance fraud visit site or call the National Insurance Crime Bureau at 1-800-TEL-NICB. Finally, for more information on what affects your Michigan Insurance visit our site.